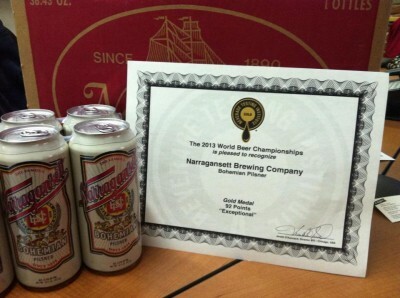 It comes with great pride to announce that ‘Gansett’s Bohemian Pils has won a gold medal at the World Beer Championships. The brew received 92 points and is ranked as an exceptional beer by the Beverage Tasting Institute that runs the competition. Look for this beer on shelves and in bars near you this Holiday season. 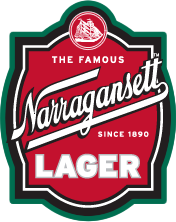 Hi neighbor, have an award winning ‘Gansett Bohemian Pils! Golden amber color. Aromas and flavors of parsnip, peach and orange jams on herb nut toast with a crisp, dryish medium body and a frothy, salty pretzel bread, egg, radish, and pepper finish. Very crisp and tasty.